National Post: “The royal family have moved on,” he said. “They’ve had to, to the realities of the media world in 2011. She will be, I imagine, the devoted wife and very much at his side. “Kate the individual I don’t believe will receive a fraction of the coverage that Diana got worldwide and in many ways it’s going to be a lot easier for her because the palace and all those around will have learned from what happened with Diana. “They will be very, very guarded to make sure that doesn’t happen again...Diana hailed from an enormously privileged, aristocratic, old English family. Kate comes from a family that descends from working class mining stock. In many ways, she had a much more modern upbringing." “Kate comes from a much more stable background — she is … in every sense, more mature, well-grounded and comfortable in her own skin.” The fact that William and Middleton are so close in age could also help them bond, Joseph said. The couple should realise that the overwhelmingly positive press coverage they have enjoyed since announcing their engagement in November may not last, former newspaper editors have warned (Sorry, Prince William: Experts say Kate is no Diana). 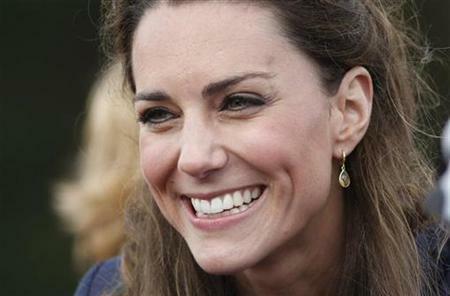 Catherine Elizabeth "Kate" Middleton (born 9 January 1982) is the fiancée of Prince William of Wales. Their wedding is to take place on 29 April 2011. Middleton grew up in Chapel Row at Bucklebury, Berkshire, England, and studied in Scotland at the University of St Andrews, where she met Prince William in 2001. They started a romantic relationship that continued until a break-up lasting for several months in 2007. However, they continued to be friends and rekindled their relationship later that year. Since then, Middleton has attended many high-profile royal events. She has been admired for her fashion sense and has been placed on numerous "best dressed" lists. Once their relationship became public, Middleton received widespread media attention and there was much speculation that they would eventually marry. On 16 November 2010 the office of the Prince of Wales at Clarence House announced their engagement, with details announced one week later (Wikipedia).